My friend and colleague, Jenny Horsman, is applying to give a talk at TEDx Toronto. I have often referred to her work on the impacts of violence on learning, and wrote a post about her website which is full of information and resources on the topic. I know that many students in adult literacy, adult basic education, or GED programs struggle with learning because of their past or current experiences of violence. 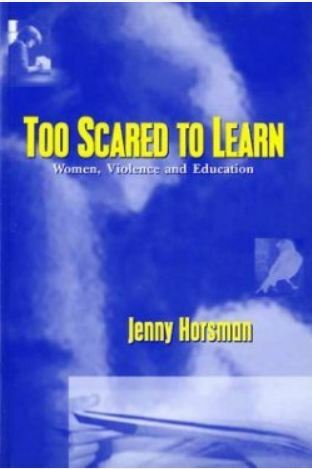 I have always found Jenny’s research about the violence/learning connection useful, and her specific strategies for helping students learn and learn to learn in the aftermath of violence are practical and imaginative. So I was excited to learn that she was applying to be a speaker at TEDx Toronto. I hope that readers of this blog will lend their support by nominating her to be a speaker. Perhaps you have heard her speak, or read her work, or visited her website. Do her ideas about the effects of violence on learning speak to you personally or professionally? Have you used some of her strategies for overcoming those effects? Would you like to see her in a TEDx talk, available online for you to watch or to refer your colleagues to? If so, please go to TEDx Toronto and nominate Dr. Jenny Horsman as a speaker. The DEADLINE IS JUNE 30, 2014. The following ideas are set out in the categories used on the nomination form. Feel free to use any of these ideas when you are nominating her. Adapt them; change them; make them your own; or ignore them and fly on your own. The nomination form is straightforward, but it asks for a fair bit of information, and must be completed at one sitting–if you leave the screen you will lose your work. Many kids and adults struggle to learn because their experience of violence has made them feel stupid and worthless. There are specific strategies that educators and others can use to overcome the effects of violence on learning. Strategies that are good for students who experience of violence are good for all students. Current brain research supports her earlier work on how to make the classroom safe so that survivors of violence can learn. This is an exciting development for educators who want to use her strategies, but need to counter the resistance of other teachers and administrators. Initially her work was with adult literacy students, but in recent years she has been working with youth, and with elementary school teachers. TEDx Toronto would give an opportunity for many people in these new areas to be introduced to her work. As the author of Too Scared to Learn she is the foremost authority in Canada on the connection between violence and learning, and is internationally renowned. She has given keynote speeches, workshops, webinars, and courses for teachers, youthworkers, literacy practitioners, adult learners, women’s shelter staffs, etc. from coast to coast to coast in Canada, and in Australia and the USA. Did you attend one of them? She was instrumental in developing Learning and Violence. Perhaps you have used the resources on that site in your own work, or for your own learning. She has led or participated in research across Canada and in the USA. Perhaps you were involved in one of her research projects. What Makes Her a Great Speaker? She is passionate about her topic. She is warm and intelligent. She gives specific strategies about how to implement her ideas with students, parents, or anyone who has experienced violence and is “stuck” when trying to learn something new. Jenny has been in relentless pursuit of her goal to increase awareness of the effects of violence on learning. She has been pursuing this passion for many years, often without much institutional support. People who have experienced violence are driven to change their lives, in spite of the difficulties in their way. They return to school, learn new ways of coping with stress, learn new ways to value themselves, learn new ways of being in relationships, all the while learning to learn in spite of the effects of violence. You may be one of those people. Educators have a relentless passion to learn how to make it possible for all learners to succeed; they want to learn strategies to make their classes a safe and positive space for everyone. You may be one of those educators. Jenny has been based in Toronto for more than 30 years, and has worked with many community agencies, including community colleges, adult literacy programs, elementary school teachers and youth workers. You may have collaborated with her in some capacity. Toronto is full of people struggling to learn while living with the effects of violence—immigrants and refugees from wars and totalitarian states; the urban poor; First Nations children and adults; women. You may be in that situation and have found her work useful. You are far from Toronto, and couldn’t attend the TEDx talk, but would watch it online. Everywhere there is violence, there are people whose learning experience is less than successful because of their experience of violence. Jenny has worked with local agencies in Australia, South Africa, and the USA. Wherever you are in the world, you may have heard about her, or read her work, but never had the opportunity to see her; TEDx Toronto would do that for you. Reblogged this on Melinda's Education Blog. Thanks for giving us all that info–made it easier to do the nomination form. Thanks also for the heads up on setting aside time to do it all in one go, very helpful. I will reblog this! I hope TEDx gives Jenny a platform! Thanks for reblogging, Melinda. I too hope TEDx gives Jenny a platform. I’m tweeting about it under the hashtag #HorsmanforTEDxTO but I notice that most of the hits on this blog post are from Facebook, not Twitter. I admire this woman’s incredible commitment to education. Thanks for re-blogging Sheila. I hope this idea gets shared far and wide! Thanks for letting me know that the form has to be filled out at one sitting. I’ve put a warning into the text above.